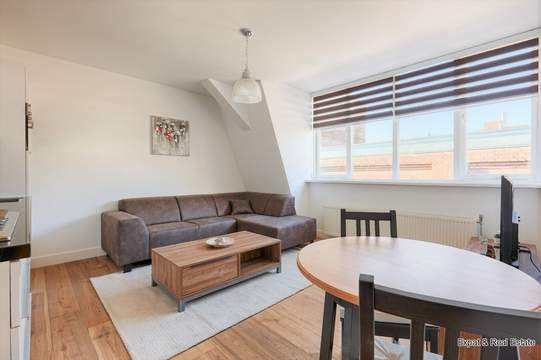 RIGHT IN THE MIDDLE OF THE CITY CENTRE you find this charming, well maintained, upstairs apartment of about 75 m2. The apartment is FULLY FURNISHED and READY to MOVE IN! 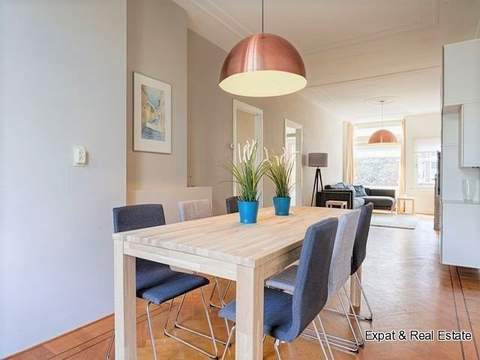 There is a cozy living room with open kitchen with all appliances, 2 bedrooms, neat, spacious bathroom and a balcony on the first floor and on the second floor at the rear a DELIGHTFUL SUNNY TERRACE LOCATED on the South. entrance hall with toilet, cozy living room with open kitchen equipped with fridge, freezer, oven, microwave, gas hob, extractor and dishwasher. landing, 2 bedrooms with lots of cabinets. From the bedroom to the rear there is access to the balcony. landing with washer/dryer. Spacious, neat bathroom with bath, wash-hand basin and radiator. At the rear there is access to the delightful roof terrace that is very conveniently located on the Sun. 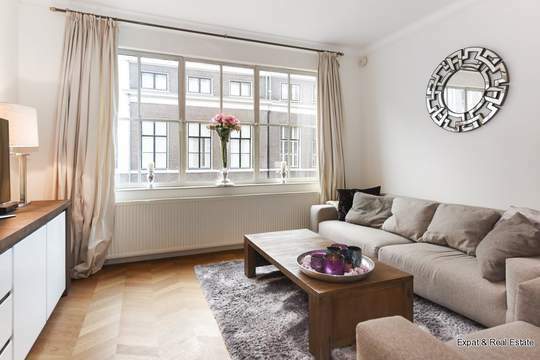 -fully equipped with beautiful parquet floor.